Warning: This is a 3.3V sensor. DO NOT connect DIRECTLY to 5V system! 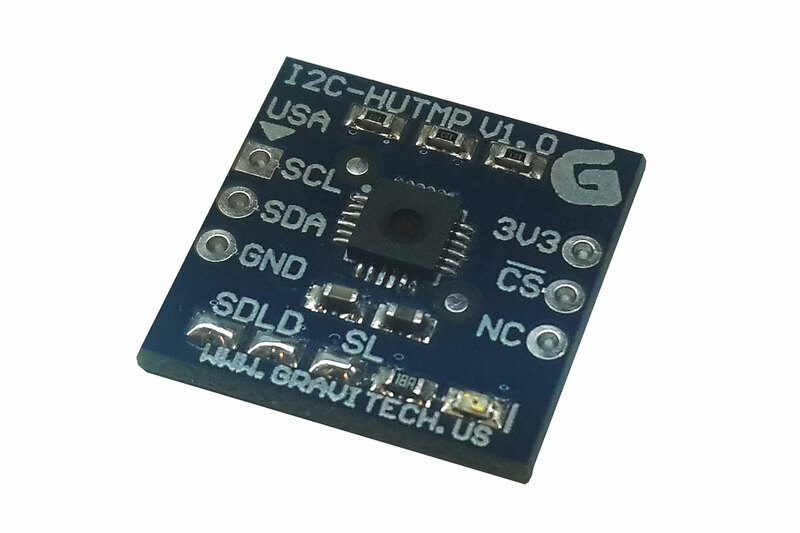 The I2C humidity/temperature sensor is a 5 pin CMOS device that provides accurate, reliable and fast temperature and humidity sensing in a small form factor. The only connections that are needed are SDA, SCL, VCC, and ground. 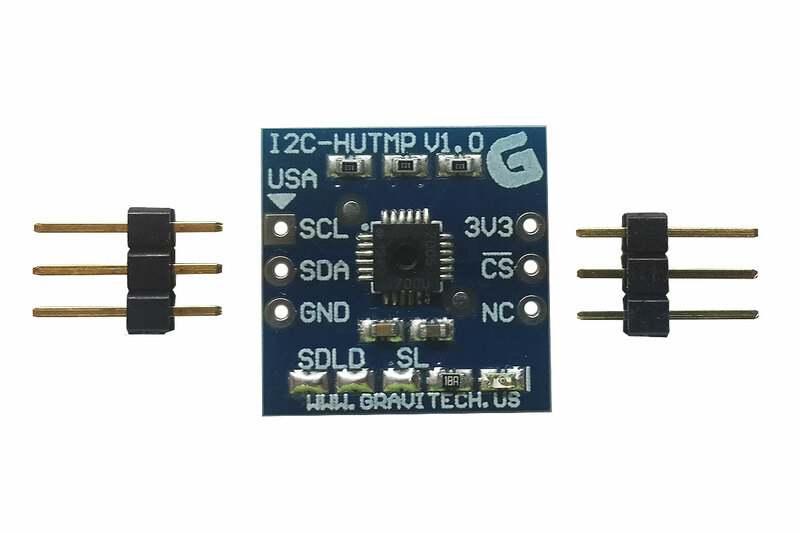 The lower voltage use, coupled with the low energy dissipation makes this an ideal solution for mobile temperature/humidity sensing applications where battery life is a concern. 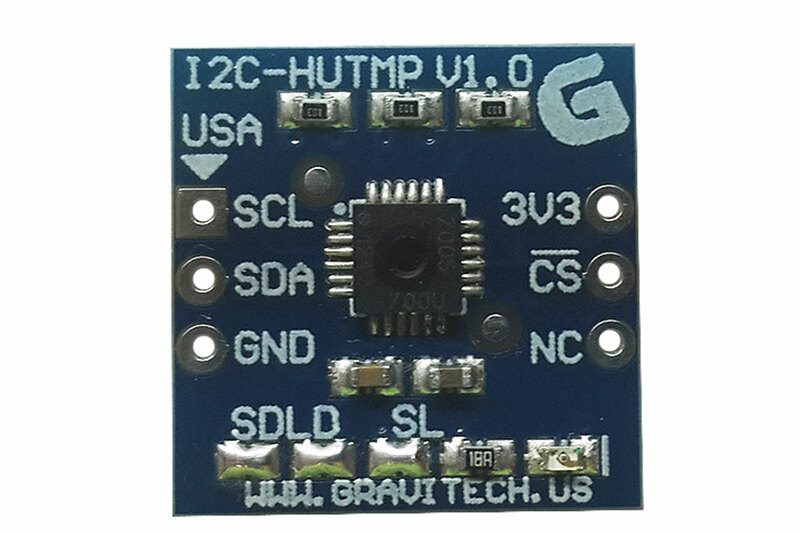 There are many features that set this product apart from the competition: this board works with voltages ranging from 2.1V to 3.6V; utilizing the Si7005-B-GM1R IC, this board draws a very small amount of power (240 micro Amps when sampling humidty); convenient I2C bus protocol; accurate to +/- 1 degree C over whole temperature range, with +/- 0.5 degree C in normal "room temperature" ranges; relative humidity accuracy from 4.5% RH; this module is light weight; includes all pull-up resistors - no extra components needed. • Small form factor, 0.7" tall x 0.7" wide x 0.1" thick. • 12-BIT Humidity, 14-BIT Temperature. 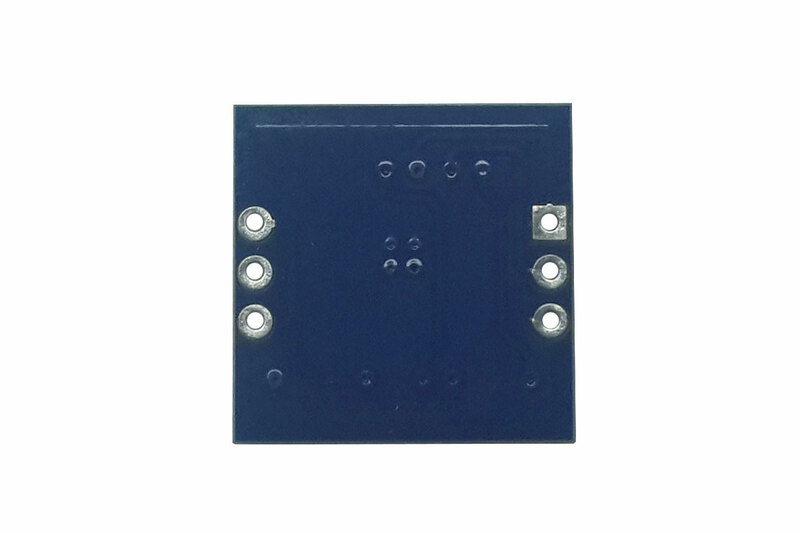 • Easy to use I2C interface. • Low power dissipation for mobile applications. • Light - *** grams. • On board pull-up resistors. • Able to use wide range of voltages for power supply ( 2.1V - 3.6V ). • On chip heater available, controlled via software. • Temperature accuracy of +/- 1 degree with RH range of 0 - 100%. • Humidity sensing accuracy of 4.5% with RH range of 0 - 80%. • High quality, two layer PCB. • Easy to read silkscreen. • Come with 3-PIN male headers qty. 2, ready to use (see first picture below). 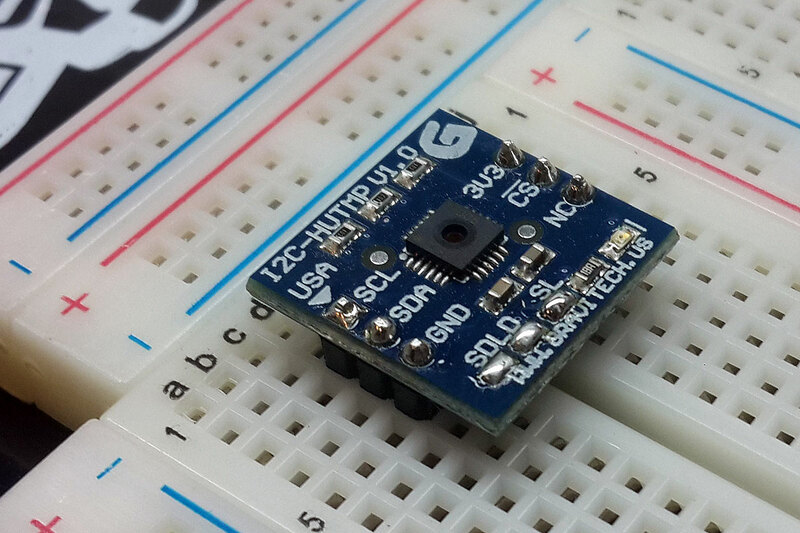 Just connect this sensor to your Arduino or other microcontroller, making sure to use a 5V / 3.3V level shifter like I2C-TRN-V2, if your controller only supplies 5V.